I have also come across another type of label. American trade name for the polyester filling ‘Dacron’ features in the right hand bottom corner. 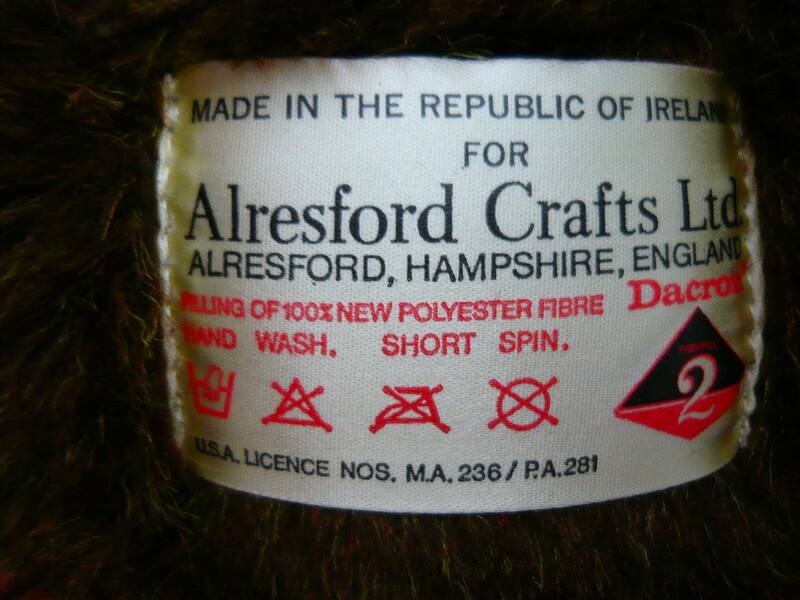 It seems some cuddly toys were also made for Alresford Crafts in Ireland. This label was found on a owl. 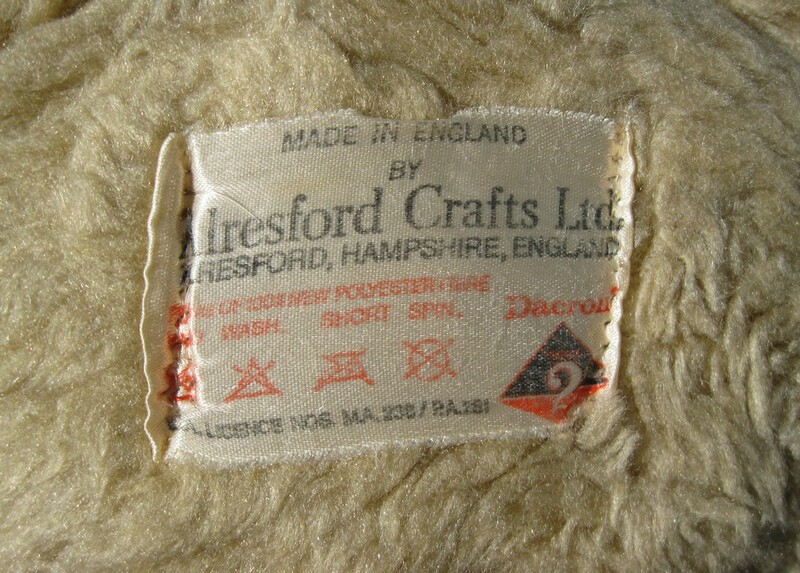 If anyone has any more information about Alresford Crafts I would be delighted to hear from you. Hi Horace, we are two Alresford honey bears (one of us is a Mark I and one a Mark II) who live with other Alresford bears and two Alresford sheep who are in charge of mowing the lawn. We’d like to send you our photos – well, we are rather attractive bears- but we aren’t on Facebook as that wasn’t around when we were born (you are such an advanced bear). Please let us know how we can send our photos. Hi fellow bears, please send your photos to Horacethealresfordbear@outlook.com – Karen will get them put on here soon. We did see a panda for sale on eBay once, but don’t really know anything about the pandas. Look after him! I used to have one of the snowy owls as my childhood toy. I have been looking for one of these owls for almost 25 years and if anyone could help me, please let me know. I’d be over the moon to have him again. You see them on ebay sometimes. Keep a look out – hope you find one. Are you still interested as I have a large bear? Hi Jane. Thank you for your comment – we would love to see a photo of your bear and perhaps we could include him in the siblings gallery? 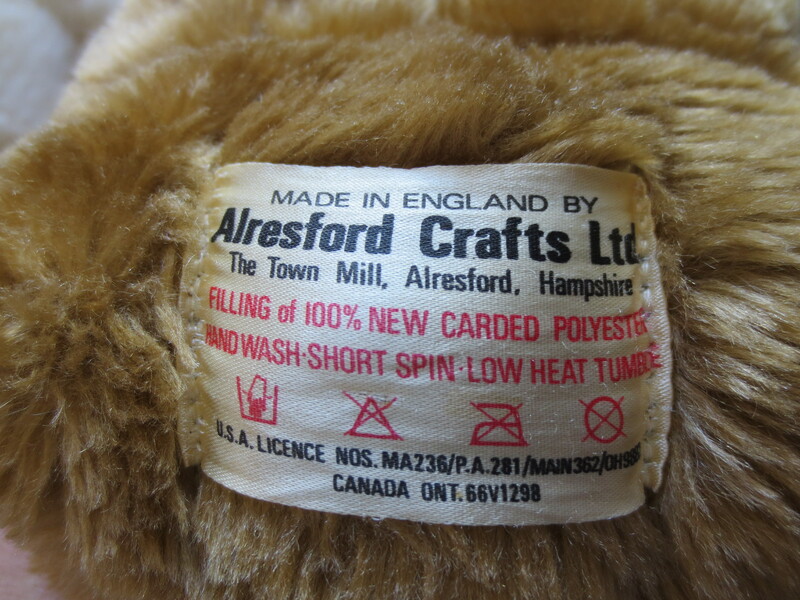 Hi Karen I have a course fur brown bear that’s 56 cm high and flat bottomed the tag suggests it was made 1979 or earlier.